Inshore: Snook fishing remains pretty good. The bridges are holding some fish at night, while boat docks in the Loxahatchee River are producing a good number of snook during the day. Pitching DOA shrimp under docks is a good way to get some snook bites. A large live mullet is a good way to get a bite out of the big girls. Some big jacks cruising around inshore to test your tackle. Sheepshead action has been pretty good inshore. Other inshore action remains spotty. Surf/Pier: Pompano fishing improved this week, with some fairly good reports coming in. Conditions look favorable for the pomps this weekend, so definitely give it a shot idk possible. 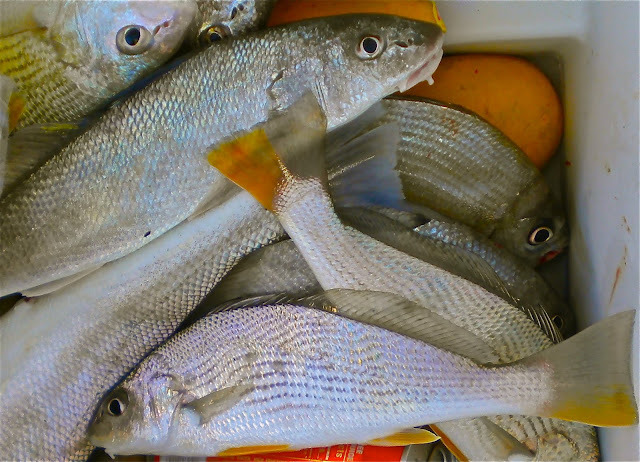 Sandfleas, clams, and fish bites remain the bait of choice for pompano . Best action has been early each morning, while the best spot has bounced around a fair amount. Bluefish have been biting at the Juno Pier at night. Cut sardines or mullet is a good choice for the bluefish. Spinner shark action has remained fair off of Singer Island and Lost Tree. Fair number of croaker in the first trough on small pieces of shrimp.